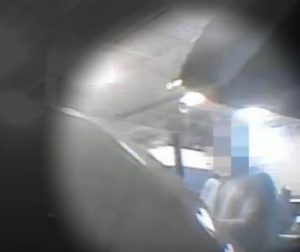 An undercover Aviva investigation and CTV’s coverage of the study certainly revealed some pretty ugly behavior in the Canadian collision repair industry. Billing for work not performed or parts not used is appalling fraud that shouldn’t be condoned by anyone in the industry. It’s still fraud even when the shop feels justified by having been stiffed on another aspect of the bill or if an adjuster with a wink OK’d it in exchange for artificially deflating a different metric. Customers and insurers have a right to know precisely what work they’re paying to have done on a car. Deliberately damaging a vehicle to inflate the bill, as Aviva hidden camera footage suggests was done, is reprehensible as well. All that said, we’d like to point out a couple of issues about the sensational study and CTV report and their conclusions. First and foremost, are shops recommended by random tow truck drivers cruising for work the most representative sample of the industry? Because that’s what Aviva used to study collision repair fraud. Undercover operatives parked deliberately damaged and appraised vehicles on the side of Ontario highways, waited for a tow truck to show up and went wherever the tow driver recommended, according to Aviva and CTV. John Norris, Collision Industry Information Assistance executive director, argued in a letter to CTV station W5 that such shops weren’t a reflection on the industry. He also said a new tow truck law advocated by his organization but not enforced enough by Ontario prohibited the practice of tow truck drivers and shops trading referrals for kickbacks. Aviva demands lawmakers “Ban referral fees to take unnecessary cash out of the system (these fees benefit third party suppliers but not consumers).” (Emphasis Aviva’s.) However, it also makes no mention of how direct repair programs create essentially an indirect kickback to insurance companies in exchange for other referrals. Allowing the insurer a discount on and greater control of repairs (thereby increasing its profits) to drive volume has in the U.S. not always consistently been in the customer’s best interest either. “Evidence gathered during the investigation revealed nine out of ten cases involved fraud,” Aviva wrote (emphasis Aviva’s.). Ten vehicles overall were involved in the study, and nine allegedly received fradulent work. However, two of the shops each received two of the undercover vehicles, according to Aviva results provided by CTV. Seven of eight shops (87.5 percent) being flagged for questionable behavior is still an appalling statistic, but it doesn’t have the ring to it of nine out of 10 (90 percent). While it reflects badly on the two accused shops that staff allegedly committed fraud on two vehicles, the end result is less of a commentary on the industry than two new wrongdoers would have been. At times, Aviva and CTV appear to gloss over that detail and even attribute the 9/10 statistic to the entire collision repair industry rather than to nine vehicles handled by seven shops in a very large country. NEWMAN: “Nine out of 10,” Newman states. Aviva concluded that the damage it inflicted on the nine suspect vehicles would have cost about $27,657.15. The shops billed $58,328.40 for those nine — and much of that wasn’t kosher, according to Aviva. “This revealed that $33,179.74 of the $58,328.40 (57% of total cost) was fraud – either because the parts and labour were not installed or completed as invoiced, or because the parts and labour were attributable to additional deliberate damage caused by the shop itself,” Aviva wrote in a news release. Not doing work you’ve billing someone for doing is inexcusable. What we question here is whether some of this work would have been justified had the shop accused of fraud done it. For example, Aviva flagged as unjustified Eugene Collision’s estimate that called for blending into the A-pillar and door shell and removing moldings after refinishing a fender. It further claimed that Eugene Collision didn’t perform the work, something that Eugene Collision denies. While we can’t see the actual vehicle, blending into adjacent panels is a pretty common paint best practice, and it sounds Aviva itself might have written the line item to do so. It’s important that repairers who charge more than the insurer would like to pay (which in a carrier’s perfect world would be $0) or who find something that an insurer misses aren’t automatically tarred with the loaded term of “inflating” the bill. Sometimes, what might feel to an insurer or customer as padding is just being accurate. After all, the bill at CARSTAR Concord, the only shop which Aviva concluded didn’t defraud it, was more than $100 higher than what Aviva’s team estimated it should be. An Aviva spokesman initially expressed interest in helping with the story Tuesday, but he and another carrier representative contacted have yet to return a request for more information on the company’s methodology.